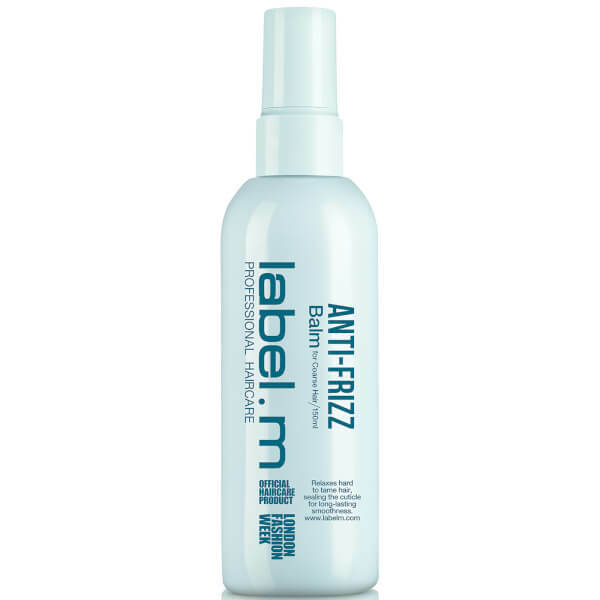 Achieve salon-worthy results with the label.m Anti-Frizz Balm; a heat-activated formula that seals the hair cuticle for an ultra-smooth finish. Harnessing the powers of Green Tea Extract and Argan Oil (rich in fatty acids and antioxidant Vitamin E), the smoothing balm expertly tames frizz and flyaways, whilst promoting a sleek, straight style that lasts. Humidity-resistant. 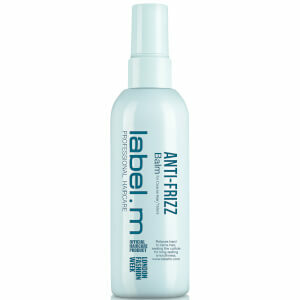 Apply a small amount evenly through damp hair. For best results, blow-dry in sections. Propylene Glycol, Aqua (Water/Eau), Cyclopentasiloxane, Dimethicone, Hexylene Glycol, Cyclohexasiloxane, Phenyl Trimethicone, Dimethiconol, Phenoxyethanol, Camellia Sinensis Leaf Oil, Argania Spinosa Kernel Oil, Butylene Glycol, Polyacrylamide, C13-14 Isoparaffin, Laureth-7, Fragrance/Parfum, Adansonia Digitata Seed Oil, Hydrolyzed Adansonia Digitata Seed Extract, Mauritia Flexuosa Fruit Oil, Coumarin, Lactic Acid, Iodopropynyl Butylcarbamate.